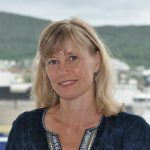 In Beyond Religious Freedom, Elizabeth Shakman Hurd – a political scientist at Northwestern University – claims that since 9/11, North American and European foreign policy makers have singled out religious freedom as the key legal doctrine for combating discrimination, persecution, and intolerance the world writ large. These policy experts, argues Hurd, work with a Manichean understanding of religion as either an enlightened force for the bettering of society or as holdover from the Dark Ages that threatens it and therefore must be reformed or put down. The background story here is no doubt “political Islam”, which Hurd argues has given rise to a new global politics of religion. Secular governments – who basically ignored religion in international affairs until just a few decades ago – are now rushing to make theological judgments as to not only what constitutes good religion, but also to put into law what the public purpose of religion should be. Hurd is quick to point out the legal inconsistency of doing so: what is becoming acceptable at the level of international law often stands in violation of the establishment clause in the United States. The problem, Hurd argues, is that secular political organizations like the U.S. State Department’s Office of Religion and Global Affairs or the EU’s Parliament Intergroup on Freedom of Religion work with models of religion that are too restrictive in their application. They and other organizations broach the concept through a Protestant perspective, which often reduces religion to a matter of belief rather than participation in a specific type of community – or communities – which involves, among other things, rituals and practices. Quite naturally, those religions deemed good – often persecuted Christian minorities – most often come closest, Hurd suggests, to the arbitrary measuring stick laid down by the secular Western powers. Hurd argues that the new global politics of religion actually creates the very persecuted subjects, that it purportedly seeks to protect. Such is the case, argues Hurd, with the Copts in Egypt, the Ahmadis in Pakistan, and the Alevis in Turkey. Their indeterminate cultural and social identity has been reduced by recent EU legislation to a principle of mere religious difference that, according to Hurd, transforms them into apostates and insurgents from the dominant religion of the state. It is true, acknowledges Hurd, that conflicts between these perspectives and the dominant Islamic traditions of the state pre-exist such legislation. However, by isolating religion as the main variable, European and North American policy makers have worsened or created new tensions. The anthropologist Jean-Michel Landry makes a number of interventions regarding Hurd’s understanding of religion. He first suggests that Hurd “remains silent about the orthodox lifeworlds (say, those of rigorous Salafis or ultra-conservative Jews) also pathologized and threatened by the normative politics of religious freedom.” And second, Landry wonders if the book is ultimately a rejection of foreign governance, a hypothesis guided by the observation that all concepts – not just religion – are unstable; in his view, Hurd’s philosophical assumptions makes expert foreign policy analysis seem almost impossible. 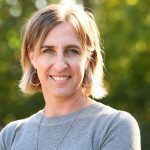 In her engagement with Beyond Religious Freedom, the social anthropologist Kari Telle argues that Hurd’s book proves valuable for understanding contemporary religious life in Indonesia. In 2014, observes Telle, Nahdlatul Ulama, Indonesia’s largest Sunni Muslim organization released a propaganda film that depicted Indonesian Islam as a good religion and the key for combatting ISIS. In pointing to this example, Telle suggests that a wealth of work remains to be done in order to determine how the new global politics of religious freedom operates in different cultural and historical context. Beyond Religious Freedom offers scholars a model for this very pursuit. 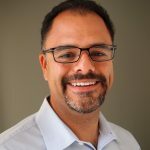 Although appreciative of Hurd’s argument, the scholar of religion Edward E. Curtis IV argues that in certain instances religion is the primarily factor in how groups understand themselves. In such instances, it would be misguided, he argues, to not make religion the fundamental category of political analysis. The failure, in fact, to do this explains the shortcomings of what could be considered a secularly-biased approach to international relations; this, Curtis thinks, should equally be avoided. 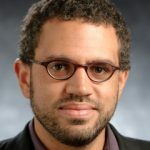 Lastly Vincent Lloyd – a scholar of religion at Villanova University – takes Hurd to be suggesting that religious freedom is ultimately “a bad idea.” He further argues this by suggesting that Beyond Religious Freedom is predicated on a “monotone morality” in which a negative judgment about the concept of religious freedom overrides the historical and political complexity of Hurd’s various cases studies. Hurd’s full and engaging responses help clarify and strengthen the various arguments of Beyond Religious Freedom, and will serve as the base for our on-going conversation. Elizabeth Hurd opens her Beyond Religious Freedom with the conflict of interpretations that followed the torching of an old library owned by a Lebanese Greek Orthodox priest. She perspicaciously observes that while American religious advocates of freedom condemned the incident as an act of religious violence, Lebanese citizens refused this interpretation. Recent developments in this affair confirm Hurd’s analysis, and further demonstrate the necessity of researching what she calls the “politics of religious freedom.” More than two years after the arson, the library has been entirely refurbished, but the whole thing remains shrouded in mystery. Yet, of course, rumors abound. One speculation suggests that the library was burned down by the owner himself, who sought to sell the site to private property developers but was prevented by local citizens attached to the historical heritage of his business. Others whisper that following international press coverage and an invitation to the French Senate, the owner received a generous amount of donations. Importantly, none of these rumors involve religion. What the director of the Hudson Institute’s Center for Religious Freedom once described as “a violent hysteria against all perceived threats to Islam” (quoted on p. 1 in Hurd) now appears to be the result of yet another conflict over land property and political patronage. But this new expertise, she adds, not only produces more books, conferences, and policy debates, it also shapes advocacy campaigns to ensure religious freedom abroad. It is these foreign engagements (more than the expert knowledge supporting them) that receive the bulk of Hurd’s critical attention. While other scholars have shown how the business of protecting religious minorities consolidated Europe’s geopolitical power across the Middle East, Hurd focuses primarily on US initiatives.1 She astutely situates the most recent American religious engagements within the context of the post-WWII attempts to reshape non-Western religious traditions in ways that serve US national interests. “American foreign relations,” Hurd sums up, “have been replete with attempts to cultivate forms of religiosity [that] align with American strategic interests” (71). But she also points out that a multitude of new fronts were opened since the end of the Cold War. Crudely summarized, Beyond Religious Freedom argues that using religious freedom as a tool of foreign policy generates three sets of consequences. First, in using the ability to choose one’s beliefs as a yardstick by which to measure religious liberty, US-led global initiatives implicitly identify belief as the true locus of human faith. Yet this conceptualization of religion finds its roots in a particular European Christian history, as recent scholarship on secularism has taught us.2 To build foreign policy initiatives on such a narrow, ethnocentric understanding of religion, writes Hurd, amounts to “sanctify[ing] a particular religious psychology that relies on the notion of an autonomous subject” (40). The second set of repercussions concerns the performative aspect of the discourse on religious freedom—how it solidifies faith-based boundaries and conceals other practices of discrimination. Hurd provides a highly persuasive analysis of the predicament of the Rohingya population living in northern Burma, whose multifaceted plight (poverty, racism, violence) is reduced to an issue of religious persecution. The third order of consequences involves the transformation of the messy world of religious experience into “static bodies of tradition and convention” (39). Hurd points out that safeguarding the right to religious freedom often entails reinforcing orthodoxies and effacing the “fuzziness and diversity” existing within religious communities (109). I agree with Hurd on this last point; I have also observed how the legal management of religious freedom in Lebanon often consolidates existent hierarchies.3 Her treatment of the challenges that the K’iches and the Alevis are facing powerfully supports this argument. Nonetheless, I am left with a few questions about the way her argument is formed. The idea that enforcing the right to religious freedom produces static and exclusionary orthodoxies hinges on a conceptual distinction (established in the first pages) between “expert religion” and “lived religion” (8). I noted above how the first category consists in the discourse of experts on religion (see also ch. 2). Lived religion is a category of a different sort—less an object of inquiry than a critical tool enabling Hurd to challenge expert knowledge by showing how it misconstrues the lived experience of religious subjects. Yet the notion of lived religion also fulfills a second, less obvious function. At different points in the text, she explains that it also serves to draw attention to the “unorthodox, nonconforming ways of being religious” (112). Without a doubt, challenging expert knowledge and describing unorthodox forms of faith are two important projects. But in pursuing them simultaneously one runs the risk of privileging certain lifeworlds over others. Indeed, if the current regime of religious freedom marginalizes nonconforming practitioners, this is no less true of many orthodox movements and devout practitioners whose commitments we often find unsettling. No one, of course, can account for the myriad ways in which religion is lived. But Hurd repeatedly emphasizes consequences for the “dissenters and doubters,” while remaining silent about the orthodox lifeworlds (say, those of rigorous Salafis or ultraconservative Jews) also pathologized and threatened by the normative politics of religious freedom. Besides, I wonder if describing lived religion primarily as a space of doubt, improvisation, and ambivalence does not actually further nourish the secular imaginary which Hurd otherwise does so much to help us critique. This concern notwithstanding, the concept of lived religion enables Hurd to mount a strong, sharp, and timely critique of contemporary policies of religious freedom. Equally vital to her intervention is the notion of expert religion. For sometime now, I have been working with Shi‘i seminarians producing and disseminating knowledge (through books, fatwas, and sermons) designed to help the faithful cope with the challenges of contemporary life. Seminarians often engage topics that preoccupy policy makers and religion experts (e.g., pluralism, religious minorities, democracy), but do so from within the framework of Shi‘i sacred and theological writings. While reading Beyond Religious Freedom, I found myself repeatedly wondering what an account of their work would add to Hurd’s argument. Such pious scholarship does not easily fit the category of expert religion: the seminarians with whom I am working do not produce “policy-relevant knowledge,” nor do they conceive of religion as an autonomous domain (8). Conversely the category of lived religion seems too narrow to include these scholarly practices and their outcomes. Religious scholars do not just live their religion, they also describe it, interpret it, and define it. Through doing so, some of them emerge as authorities. As the readers of Syndicate Theology know well, this discursive production is not exclusive to Islam. I raise this point merely to stress that foreign policy expertise stands in tension not only with lived religion, but also with religious knowledge. Exploring this tension may open up new avenues for understanding the shifts and transformations brought by the advocacy of religious freedom. Hurd’s own exploration leads her to conclude that the notion of religion is “too complex and unstable” to serve as “a basis from which to conduct foreign policy” (111). I read this statement as the core argument of her essay. It is a powerful point, and in closing I articulate a line of reasoning this opens for me. I wonder if Hurd would recommend we replace the concept of religion with a more stable notion. Probably not, given she writes that “exchanging a focus on religion as belief for a more inclusive model of religion as communal practice or ethics does not offer a solution” (63). Yet perhaps the issue here goes beyond the concept of religion. Hurd convincingly shows that religion is an unstable category, but the same can be said for most categories—especially when they are deployed cross-culturally. For decades, anthropologists have demonstrated that the modern concepts of family, law, and the body do not hold universal sway. Besides, we know too well that religious engagements abroad are not the only ones to produce unintended (often disastrous) consequences. Thus, I suggest we can read Beyond Religious Freedom not only as an argument against the global policing of religious freedom, but as an argument against foreign governance itself. For it seems that the problem Hurd analyzes centers on religious freedom but applies to the broader apparatus of knowledge and power in which this concept is embedded. Hurd teaches us that this apparatus is most often aligned with domestic interests, but also that an inquiry into the global politics of religion is effective in getting at its heart. Yet this implies that getting “beyond religious freedom” requires getting beyond foreign governance as well. I wonder whether Hurd would agree with this reading, and I thank her for her stimulating and provocative book. In his thoughtful response, Jean-Michel Landry identifies two of the central motivating questions of this book: How and why are so many incidents today rendered as religious clashes? And what is at stake in the persistent construction of a world in need of religious freedom? As Landry observes, to pose these questions is to turn our attention to the performative aspects of religious freedom discourse: how it solidifies faith-based boundaries and conceals other practices of discrimination, while also, one could add, occluding other forms of sociality and solidarity that do not fit the faith-based mold. I look forward to learning more from Landry’s work about the ways in which the orthodox life-worlds that he studies are threatened by normative regimes of religious freedom. This is an interesting way to further our mutual research interests. I agree with him that these authorities and communities also generate forms of expert and official religion. But it is not entirely clear to me why these orthodox life-worlds would not, at least in some circumstances, also be included in the category of lived religion—which I define as religion as practiced by individuals and groups as they interact with a variety of religious authorities, rituals, texts, and institutions and seek to navigate and make sense of their lives, connections with others, and place in the world. I use that term to refer to a vast field of human activity, relations, investments, beliefs, and practices that may or may not be captured in the set of human goings-on that are identified as “religion” for the purposes of either generating expert knowledge or for purposes of law and governance. It seems plausible that in some contexts the actions and activities of the groups that Landry describes as orthodox (though that term too has a complex history, as Landry and readers of this forum surely recognize) would fall into the category lived religion, while at other times not. It is important in this instance to recall that the boundaries between these heuristics are porous. The distinctions between them are always, to an extent, arbitrary, and themselves the product of law and governance. To be very clear, my intention is neither to romanticize lived religion as prior to structures and relations of power nor to identify “authentic” forms of it. There is no pure religion that stands independent of elite, orthodox, or legal religion. These heuristics are useful not because they have sharp boundaries but because they allow us to understand more fully the religious and political dynamics that shape the worlds we inhabit and study. Returning to the question of how Landry’s Shi’i seminarians fit into my story, I would without hesitation agree that their production of authoritative knowledge represents a form of expert religion. Expert religion is not limited to knowledge produced solely for policy purposes but encompasses a broader field including authoritative pronouncements by various religious institutions and authorities. The tensions between foreign policy expertise and the production of expert knowledge about religion—from all quarters, including religious authorities—is, as Landry points out, a promising avenue for future research. Finally, Landry asks whether we can read Beyond Religious Freedom “not only as an argument against the global policing of religious freedom, but as an argument against foreign governance itself,” since the problems analyzed apply equally to the broader apparatus of knowledge and power in which the concept is embedded. In short, does getting “beyond religious freedom” require getting beyond foreign governance? My answer is both yes and no. Yes in that aspects of the critique developed in the book also apply, though not without caveats, to other concepts and contexts. No in that it is impossible to get “beyond” foreign governance. There is no going back to a pre-globalized, hermetically sealed world of nation-states. A good case can be (and has been) made that even before European hegemony such a world simply did not exist. I am grateful to Elizabeth Hurd for responding to my commentary and suggesting fruitful avenues for us to push the discussion further. I would like to begin by asking her a few questions. In my commentary, I noted that she exemplifies the notion of “lived religion” by turning to doubters, dissenters and unorthodox practitioners. I asked: Why are orthodox religious lifeworlds absent from the discussion? In her response, Hurd provides us with highly persuasive clarifications. I am not sure, however, that I fully understand the following claim: “It seems plausible that in some contexts the actions and activities of the groups that Landry describes as orthodox […] would fall into the category lived religion, while at other times not.” From this statement, I understand that whether orthodox religiosity qualifies as lived religions (or not) is a question of context. But I find it difficult to conceive of the kinds of circumstances under which orthodox Judaism or Salafi Islam would cease to be lived religions. I wonder where and when orthodox religious practices stop falling into the otherwise inclusive category of lived religion. My second question has to do with the labor of critique. Playing with the book’s title, I have suggested that Hurd’s analysis of the politics of religious freedom is an implicit critique of foreign governance; imagining a world “beyond religious freedom,” I argued, required us to imagine a world “beyond foreign governance.” Behind this suggestion is the observation that the apparatuses, discourse, and instruments that Hurd analyzes so incisively also serve to justify foreign interventions that are not related to religion, or religious freedom. In her response, Hurd cautions that “going back to a pre-globalized, hermetically sealed world of nation-states” is impossible, adding that such a world may have never existed. I cannot but agree with her: trying to (re)construct such a world would be futile, indeed. But as Hurd’s own scholarship reminds us, a critique is not an attempt to go back in time, but rather an exercise to reimagine the present—with or without the support of historical precedents. For many of us, Beyond Religious Freedom exemplifies what it means to imagine a different world (a point Kari Telle also noted in her beautiful commentary). Problematizing foreign governance as Hurd problematized religious freedom may lead us to raise an interesting set of questions. Does globalized world necessarily imply foreign governance? Can we fight against the geopolitical inequalities underpinning these relationships of governance without embracing the form of the nation-state? In closing, let me make a clarification. In my commentary, I alluded to the fact that a number of orthodox religious practices generate some anxiety these days in secular societies. “We often find unsettling,” I wrote, the commitments of several orthodox practitioners. I believe that such anxiety characterizes the current historical moment, which I share with my contemporaries (hence my use of the pronoun “we”). Speaking for myself, I would add that being “unsettled” is neither a normative positioning nor a form of judgement, but rather a condition of intellectual discomfort that opens up fruitful questions and paths of inquiry. Thanks to Jean-Michel for continuing this interesting conversation. To clarify, it is far from my intention to suggest that orthodox Judaism or Salafi Islam are not lived religions. Rather, I mean to suggest much more modestly that in some circumstances, and depending on how specific forms of knowledge are taken up publically, by whom and to what ends, expert religious knowledge that is produced by authorities situated within and operating as part of those traditions may be better situated as a form of expert religion rather than (exclusively) as lived religion. But of course it could be both. There are no bright lines between these heuristics. On the question of critique, Jean-Michel is also right to suggest that Beyond Religious Freedom is an attempt to imagine a different kind of world, in part by reimagining the present. Matthew Scherer develops a related, and I think quite important, reading of the book in a recent discussion on The Immanent Frame in which he notes that the book demands “renewed attention at the very least to the costs that follow from taking hold of life through the concept of religion.” The first step in such a reassessment is to apprehend our current situation differently, turning the prism to see our socio-political, religious and legal realities in a new light. This involves stepping back from the certainties that surround and sustain discourses of religious violence (and peace), religious freedom (and tyranny). It involves recasting how we talk and think about various aspects of global politics—violence, peace, nationalism, inequality, globalization—by redirecting attention toward locations of solidarity, sociality and critique (‘religious,’ ‘political,’ both, neither) that otherwise might be overlooked in the frenzy to “fix” religion. 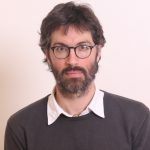 To respond to Jean-Michel’s last question more directly, the relation between radical forms of local, national and global political mobilization and the state is complex and context-dependent. Associating ourselves as scholars, critics, and activists with such movements would seem to involve less a dramatic escape from state power than an ongoing reckoning with it—an “unsettling” of it in Jean-Michel’s sense—in all of its complex and historically-contingent forms. In the wake of the recent US election such a reckoning seems more urgent than ever. 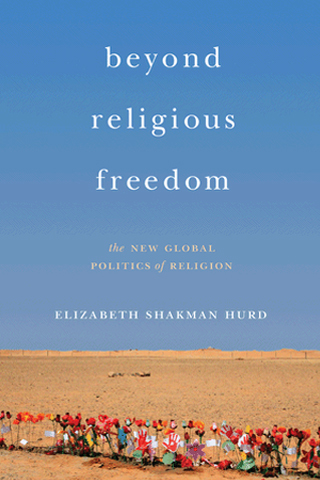 In her new book, Elizabeth Shakman Hurd invites us to imagine a world “beyond religious freedom.” The book, Hurd explains, “is intended, in part, as a thought experiment that provides a glimpse of what the world would look like after religion is dethroned as a stable, coherent legal and policy category” (7). Today this vision seems almost utopian. Here I mean utopian in the positive sense of a bold ability to think otherwise, in order to imagine different ways of conceiving and governing religion than those that are currently in vogue among politicians and policymakers. For one, we are living in a time marked by an unprecedented “faith” in the law. Modern secular law, as the anthropologist John Comaroff (2010) has argued, “appears more and more as a fetish—an abstraction made real, ascribed a life force of its own, and attributed the mythic, numinous capacity to configure relations and transactions in its own image” (195).1 The rising salience of the law partly explains the new commonsense that promoting religious freedom as a legally enforceable right is the best guarantee for the free exercise of religion and for the accommodation of difference within deeply plural societies. As Hurd demonstrates, over the past two decades, the US government and its European allies, international institutions, development agencies, and foundations “all have signed on to the project of promoting tolerant religion and moderate religious subjects. Communities around the world are increasingly understood as in need of varying degrees of social and religious engineering, ranging from a minor touch-up to an extreme makeover” (5). In light of this broad consensus and intense will to improve2 religion, Hurd’s hard-hitting intervention is hugely important. One of the important contributions of this book is to trace the emergence of the powerful policy narrative that legitimates the so-called “religious engagement” agenda that has gathered momentum in international politics over the past two decades or so. Key here is a palpable shift away from the classic separationist model of secularism, disestablishment, and the privatization of religion toward a version of secularism in which religion increasingly is perceived as an international public good to be harnessed for various governance purposes. In the Impossibility of Religious Freedom (2005), Winnifred Fallers Sullivan observed that “religion has a curiously Janus-faced quality in the late modern period—in relation to law” (154). While religion is regarded as “a primary source of ethical reflection and behavior,” the other face of religion is “associated with the irrational, the savage, and the ‘other’ in a profoundly constitutive way” (154). Sullivan used these observations to argue that legally enforced religion as a political goal “denies and conceals the profound ambivalence toward religion revealed in this split personality” (154), thus raising questions about what theory of religion is embedded in modern secular law and stressing law’s inability to recognize all manners of human religious being. That a deep ambivalence, if not schizophrenia, toward religion, animates “the new global politics of religion” in distinct ways becomes clear as Hurd unpacks the “two faces of faith” discourse that she argues provides structure and legitimation for these efforts. A distilled version of this mindset was articulated by Tony Blair in 2012, who insisted that “taking faith seriously” means recognizing that “there are two faces of faith in our world today” and that “all over the world, this battle between the two faces of faith is being played out.” With special reference to the Middle East and North Africa, the former UK prime minister noted that “we need religion-friendly democracy and democracy-friendly religion,” before concluding that “this is an important message, of which Jesus Christ, I believe, would have approved.”3 A central argument is that the “two faces” discourse, in which “good” religion (tolerant, peaceful, free) is seen as a public good and agent of transformation that can have a special role in taming “bad” religion, understood to be intolerant, sectarian, and prone to extremism, enjoys impressive traction across the political spectrum, uniting very disparate sets of actors and authorities. This discursive framework, Hurd suggests, represents a form of “expert religion,” a civilizing discourse endorsed by those in power, including state authorities and religion experts who generate policy-relevant knowledge. In this seductively simple narrative, religion is singled out both as problem and solution to complex social issues. Indeed, when religion is taken as a plausible explanation for violence, as in the burgeoning “religious violence industry” (Sidel 2006) that has evolved in tandem with the US-led War on Terror, this enables and positively demands interventions by “experts” to identify and shape it. As Hurd takes readers on a tour of mainly US-sponsored “religious engagement” projects in different parts of the globe, it becomes apparent that these projects are not simply geared toward creating allies but more fundamentally entail “a project of religious reform, of transforming religions into what is understood to be better versions of themselves” (66). It almost goes without saying that much ethnographic work remains to be done before we can fathom the effects of the initiatives, operating on different scales and in different cultural and historical contexts, that Hurd includes under the rubric of “the new global politics of religion.” While much of the book is devoted to policy narratives and religious programming, the thrust of Hurd’s work is precisely to train our attention on the unintended effects of a politics centered on religious rights and freedom. Hurd is doing a great service by dismantling the shaky conceptual scaffolding on which interventions in the name of protecting and promoting “religious freedom” rests. That scaffolding rests, as already indicated, on an understanding of “religion” as a discrete, stable entity that can be distilled from other domains of human sociality and history. This ahistorical view implies that “religions” are granted intentionality, becoming shadow players in domestic and international politics. While discourses on the “right to religious freedom and belief” typically stake claims to universality and of being “above” politics and culture, Hurd’s work demonstrates that religious liberty serves as a powerful technique of governance. Reading this book, I was reminded of Wendy Brown’s analysis on tolerance in Regulating Aversion (2006), a work that aimed at “puncturing the aura of pure goodness that contemporary invocations of tolerance carry” (10). In this Foucault-inspired analysis, Brown approached tolerance as a moral-political practice of governmentality with “significant cultural, social, and political effects that exceed its surface operations of reducing conflict or of protecting the weak or the minoritized, and that exceed its formal goals and self-representation” (9). For Brown, tolerance discourses in liberal democracies serve as a form of depolitization that “eschews power and history in the representation of its subject” (15). In a somewhat similar fashion, Hurd repositions “religious freedom” as one of many possible modes of governing social difference, and insists that these efforts require the suppression of more complex histories, colonial legacies, and relationships. The category of “religion,” a deeply intersected term, does not stand apart from these histories but emerged in relation to the modern idea of secularism, as many scholars have documented. One would think that this impressive body of scholarship, by now, would have undermined the smug notion of the view from nowhere in the study and promotion of “religious freedom.” Not so. One of the ironies of current invocations of the right to religious freedom is that the category of “religion” is reified to the point of assuming something like a sacred, untouchable quality. Beyond Religious Freedom, as the title indicates, takes a skeptical view of contemporary efforts to protect and promote “religious freedom.” The point that “the deployment of religious rights is a technique of governance that authoritizes particular forms of politics and regulates the spaces in which people live out their religion” (17) is a recurring theme. Key here is what Hurd calls the “politics of nonrecognition,” the modes of belonging and political struggles that go unnoticed or fail to be recognized as they do not conform to prevailing expectations of what a religious group or faith community is supposed to look like. These dynamics are deftly examined in the extended-case study of the Alevis in Turkey, with equal being attention paid to Alevism under Turkish secularism and European human rights law. In what was for me the most illuminating chapter, Hurd’s analysis suggests that the court’s recognition of Alevis as a non-Sunni Muslim minority sect in need of legal protection downplays the cross-cutting links between Alevi and non-Alevi communities, and reinforce the exclusionary connections forged between Sunni Islam and Turkish nationalism. The broader conclusion Hurd draws from this and similar examples is that nonrecognition of “lived religion,” a heuristic shorthand for sensibilities and belonging outside the confines of religion as construed for purposes of law, cannot be remedied by better interventions or a more effective regime of rights implementation. This is partly due to the fact that in order for secular courts of law or other authorities to decide whether some practice or belief qualify as religious or not, they are “bound to smuggle in one particular theological conception of religion” (De Roover 2011, 43), which serves the standard to reject certain practices as not truly religious.5 Herein lies a deep, perhaps irresolvable, dilemma in efforts to legislate religious freedom. Of course, Hurd is not the first who has cautioned against the inability of legal instruments to protect all manners of being religious, an argument Sullivan made in The Impossibility of Religious Freedom (2005), where one conclusion was that modern law wants an “essentialized religion” (155). Hurd’s work belongs within a growing body of critical scholarship that insists that “religious freedom” is not a neutral instrument. Her work also illuminates how the promotion and legalization of the right to “religious freedom” is enormously productive and transformative of identities, potentially hardening lines of difference and conflict, and shrinking the space of maneuverability for doubters, dissenters, atheists, and all those who habitually move across conventional religious boundaries, visiting Hindu shrines and Muslim mosques as needs arise. Addressing the inevitable disconnect between the kind of “governed” religion that is recognized and fixed in law and constantly evolving “lived religion,” Hurd warns that when religion is singled out as a basis for making claims or protecting certain groups, identity takes on an exclusionary either/or logic. When Hurd states that “there is no single prescription” (63) that emerges from her discussion, this is in one sense correct. But let me confess that had I been offered a simple recipe after this (depressing) glimpse into the religious and political landscapes being realized through “the new global politics of religion,” I would have been disappointed. I think she’s right. One of the most important aims of the book, as Telle perceives so clearly, is to encourage scholars of and in various local and national contexts to pay closer attention to how strategies of global religious governance (including transnational advocacy for religious freedom, toleration, and moderation, efforts to constitutionalize religion, attempts to regularize interfaith dialogue, and so on) are consumed, refashioned, remade and/or rejected. What does the new global politics of religion look like from other perspectives? How does the politics of non-recognition play out in these specific local contexts and controversies? How should scholars think about modes of belonging and political struggles that often go unrecognized and unacknowledged because they fail to conform to prevailing expectations of what a religious group or faith community is supposed to look like? These are important questions. Telle mentions my discussion of the legal and political predicament of the Alevi communities of Turkey. I also delve briefly into the politics of nonrecognition and the “view from the other side” in a discussion of Sahrawi refugees living in southwestern Algeria, which also appears in summary form in Nations Under God.1 In including the Sahrawis, my intention was to offer a glimpse of the “on-the-ground” politics of global advocacy for religious toleration by exposing the mixed consequences for Sahrawi refugees of the representation of their camps as “ideal spaces” occupied by religiously tolerant individuals. Trapped between the religio-political imperatives of the Polisario and powerful outside donors and supporters, dissenting Sahrawi refugees lack voice and agency. Their story illustrates, in a particular setting, the consequences for people on the ground when religious toleration and religious freedom capture the field of emancipatory possibility as unchallengeable political and social goods. This dynamic of “capture” is central to the politics of what I describe as the global religion agenda, distinguished by its strong commitment to the realization of these purportedly universal goods and goals. It is precisely the power of that familiar narrative, and the discursive resonance it generates for so many around the world today, that the book seeks to explore and understand. Today, the biggest bad religion of them all, or what we might simply call the baddest religion, is Islam. The reasons why many of us see Islam as a bad religion that makes people do bad things is because we and our government have been interpreting political behavior by Muslim persons as essentially, irredeemably religious. This is especially true when we US Americans interpret a violent act performed by a Muslim person. According to one poll by the Pew Research Center, 70 percent of Americans surveyed believed that Islam was the most violent religion in the world; for the sake of comparison, 9 percent thought that Christianity was the most violent religion. The public face of Muslim America has changed since the 1960s. No longer represented by bow-tied black men hawking copies of Muhammad Speaks, public images of Muslims in America seem instead to rely on old Orientalist tropes like the burka’d woman, the bearded mullah, or the wild-eyed warrior. The Muslim as public enemy is brown rather than black. How that occurred is a long story, one that has to do with the end of the Cold War and the emergence of political resistance in the name of Islam to US empire and US client states among a number of Muslim groups worldwide. As in the past, the FBI and the Justice Department—and now the Treasury Department, Homeland Security, and the National Security Administration, among other agencies—seek to reward those versions of Islam that are apolitical and innocuous to US interests while also suppressing even peaceful Islamic resistance to US foreign policy. This is another example of how the mechanisms of governance use religion to define and manage various social groups. The defining of Islam as the cause of political resistance has been even more useful to the foreign policy of Israel. The current prime minister, Binyamin Netanyahu, has been a major figure in perpetuating the stereotypical notion that the threats faced by Israel are not those of Palestinian freedom fighters and nation-state neighbors who seek to advance their geo-political and economic interests, but instead, a bunch of Muslim fanatics with whom no negotiation is possible. For example, in his 1987 edited bestseller, Terrorism: How the West Can Win, Netanyahu argued that the “world of Islam” had invented terrorism in the middle ages, and even in the modern world, remained “medieval” in its outlook. In addition, the book claimed, Islam was, at its very heart, anti-democratic and intolerant of diversity. He has been saying the same stuff for decades, his views have become common sense among too many. Ironically, the Israeli government was instrumental in helping Hamas, the governing political party of Gaza, in hopes that it would become a rival to the secular Palestine Liberation Organization. The cynical framing of Muslim resistance to Israeli occupation is yet another example of Beth Hurd’s claim that focusing on religion and religious groups in resolving conflict is a technique of the powerful; “it presupposes and produces the very divides that it is meant to soften or transcend, creating in the process new forms of social friction defined by religious difference” (41). Instead of focusing on the colonial history of Zionism, military occupation of Palestinians, economic deprivation, widespread human rights abuses by both the Israeli and Palestinian governments, and the complicated role that religious identity plays in both Israel and Palestine, the ultimately racist discourse of Islamophobia allows Israeli officials and their US apologists to cover injustice with the veil of radical Islam, directing our attention away from the human suffering to which all of us contribute in the Holy Land. 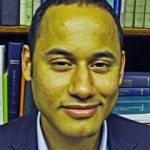 So far, I have been amplifying and giving examples of Prof. Hurd’s marvelous argument that religion is being defined, governed, disciplined, and even manipulated by the nation-state in a way that ignores the other identities of the people whom it wishes to govern or whose lives it wishes to affect. This should make clear that I agree with the broad outlines of Prof. Hurd’s argument and find it really essential to understanding our world. But let me voice at least a partial disagreement. While agreeing that we should never think of a person or group as exclusively or even primarily religious, government interactions with religious actors and institutions are inevitable, especially in foreign affairs. We have no right to determine the political forms in which other communities choose to negotiate with us. And the impact of government negotiations with self-identifying Islamic, Jewish, Christian, Hindu groups can sometimes be desirable. Governments can interact with religious actors and institutions in ways that acknowledge complex interests and identities of the actors themselves. For some historical actors, their religious identities and practices are primary, and if the government simply refuses to deal with them, they risk acting in the same anti-democratic, coercive politics that Beth Hurd is worrying about. Let me be specific. In the 1970s and the 1980s, all around the world, the failures of the nation-state and the promises that governments had made their people about the power of the state to solve their problems—which included everything from poverty to social alienation—led many Christians, Jews, Muslims, Hindus, Sikhs, and Buddhists to look toward their religious traditions as solutions to their problems. They formed or shaped political parties based on these ideas. Governments were forced to respond to this reality. As religious politics slipped from their grasp, many governments attempted to catch up, incorporating, managing, and manipulating these popular forces. Yes, some of the policy-making that resulted from these efforts, the same policies that Prof. Hurd is critiquing, have been ill-conceived or improperly-executed attempts to deal with this reality. But was there really any alternative to dealing with these forces? It became impossible to ignore the Moral Majority, the BJP, the Iranian revolution, Hamas, Shas, Hizbullah, Jamaat-i Islami, Christian Zionism, United Torah Judaism, and so on. To ignore them, to wish they did not exist, would be to silence the voices of too many people. They had to be engaged. In many cases, as Beth Hurd argues, that engagement has been to treat religious actors in a narrow fashion—to define them either as good guys or bad guys and ignore the complexities. Sometimes, perhaps often, religion is not a primary identity of peoples, parties and where it is not, it should not be a government’s primary concern. But where religious identity must be engaged for peace and justice to be achieved, the state has no choice but do so. The United States does not, or at least it should not, get to choose the governments of its foes and allies. The source of my disagreement with Prof. Hurd, if it is a disagreement, may be how we see religion. Prof. Hurd claims that religion, unlike other human phenomena, is too messy to be defined. “Stabilizing a definition of religion or religious for the purposes of assigning causal significance and drawing generalizable conclusions is impossible” (41). As a religious studies scholar, I disagree with that. I study religion like any other material phenomenon. I do not look for the existence of God, because I can’t prove that. But I can understand in a critical, reflexive, and fair-minded fashion how we human beings have defined and debated religion. By studying everything from the neuroscience to anthropology, I can document and analyze religion in same ways that others study culture or politics. Religion, in other words, is a human phenomenon, both socially constructed and materially produced.3 Just as I deal with the material reality of religion, I also think we have to deal with the material reality of people and groups that articulate their hopes and dreams for a better future in religious terms. I was drawn to two aspects of Edward Curtis’s engaging review of Beyond Religious Freedom. The first is his application of the book’s critique to the case of Israel-Palestine. The second is his defense of government-sponsored religious outreach. With regard to “religious violence,” referring to the US (and also the Israeli) government) Curtis observes that “we and our government have been interpreting political behavior by Muslim persons as essentially, irredeemably religious.” This raises an important issue not yet addressed in this series: that which is often described as religious violence, and specifically, violence by Muslims said to be motivated by Islam. Curtis deftly applies my argument to a context not discussed in the book: the framing (and reduction) by the Israeli government and its American apologists of resistance to Israeli occupation as “Muslim resistance.” This framing, he argues, is a powerful political move that privileges religious agency and religious causality while obscuring other contributors to the conflict. Assigning casual agency to “Islam” as the engine of the conflict, he concludes, rather than the colonial history of Zionism, military occupation, economic deprivation, and human rights abuses by both Israeli and Palestinian governments, past and present, serves as a cover for injustice. I agree. Bayoumi’s insights relate to my second point regarding the politics of government-sponsored religious engagement. I agree with Curtis that interactions with religious actors and institutions are inevitable, and that government should not turn a blind eye to those who self-identify as religious. The problem is that when government defines groups for purposes of making foreign policy as religious actors it presumes that their actions and motivations are driven by religion. Religion takes on a particular form of agency; it becomes larger than life. In Bayoumi’s terms, rather than being placed in history it is used to explain it. In the meantime, those who do not qualify as “religious” are excluded from the conversation. The complex motivations of the Iranian revolutionaries in 1978–79, for example, as discussed in my first book, are thus reduced to “Muslim” political behavior or “Muslim radicalism.” This misrepresents history. Neither “Islam” nor “Muslim political actors” are or ever have been singular, agentive forces that can be engaged, celebrated, or condemned. To rely for either analytical or policy purposes on the category of an Islamic actor mistakenly presumes a form of actor-ship that is motivated by Islam. This is sociologically untenable. There is no singular Islam, just as there is no singlular Buddhism or Judaism. My argument, then, is not that religion is irrelevant to public life and should be ignored by policymakers. It is rather that the understanding of religion underlying contemporary US official religious engagement is flawed. Religion cannot be disembedded from the broader social and political fields of which it is a part. It cannot be divided between good and bad. There are no untouched religions waiting to be recovered from political irrelevance or reformed into peaceable governing partners. Religions, including Islam, do not cause violence. Nor do they cause peace. Bureaucracies do not need independent offices predicated on the notion that religions are entities set apart from the world requiring special treatment. They aren’t. Experts who study religion have an important role to play in educating students and informing the public. Edward Curtis is certainly among them. But a careful distinction needs to be drawn between peddling one’s scholarly wares in the service of the state, and teaching, writing, and speaking to inform and enrich academic and public debates. Regardless of what the policy folks at the State Department may claim, the former requires pressing the state’s case, while the latter does not. Elizabeth Shakman Hurd’s unspoken argument is essentially this: Religious freedom is bad.1 It is not bad in the way a practice is bad if it runs against a moral norm. It is bad because religious freedom names a way of talking about the world that helps some and hurts others, those who it hurts are already disadvantaged, and hurting the disadvantaged runs against a broadly shared moral norm. Put another way, for Hurd religious freedom does not refer to a fact about the world, a capacity to express religious belief that some have and others do not. Rather, it refers to a style of talking about the world (and consequently of seeing the world) that has become popular in certain elite circles: in the European and North American political and policy establishments as well as in think tanks and some academic social science circles. Those who are part of this conversation believe that religious freedom refers to a fact about the world, but Hurd charges that what matters is that the conversation about religious freedom actually changes the world. It relies on certain assumptions about religion (that it is discrete, that it is primarily about belief, that Protestant Christianity is its prototype) that further the interests of Western powers to the detriment of ordinary people outside of the West. And this is bad. I emphasize badness precisely because Hurd does not. Her book makes a highly compelling case that religious freedom is a discrete conversation, historically specific and specific to a network of elite actors, and it makes a highly compelling case that this conversation advances the interests of the West. The reader is left to take the final step, to a normative conclusion, herself. Certainly, kicking those who are down seems bad, but it is not the only thing that is bad, and (as Hurd herself would certainly agree) those who see themselves as helping the downtrodden often end up doing more harm than good. I worry that this, a gesture so pervasive in critical scholarship today, equates being critical with having a monotone morality: fighting the powerful is good, injuring the weak is bad. This allows scholars to understand their work as more than merely antiquarian. Critical scholarship is imagined to be scholarship motivated by justice. This monotone morality seems to me a product of all those things critical scholarship would otherwise abhor: a supposed view from nowhere, a refusal to consider context or history, a blindness to complexity and interdependence, a naturalization of culturally specific intuitions. If we present the critical scholar with a statement like “murder is wrong” or “procreation is a basic good,” she would scoff and send us back to an undergraduate critical thinking course. Obviously such judgments are produced by certain people, at certain historical moments, located in certain cultural circumstances, understood through specific interpretive lenses. The implicit commitment to a statement like “injuring the disadvantaged is bad” receives no such scrutiny. Yet it seems all too obvious that this statement only makes sense as a shared commitment of elite “left” academics who inhabit certain cultural spaces, reaffirm their beliefs in community gatherings, and interpret “the disadvantaged” in particular ways. Moreover, framing this as the core normative principle ignores how, in real ethical life, many principles are entwined, gaining or losing salience based on circumstance. Another way to put my concern: Hurd’s study is a genealogy of religious freedom. (The technical execution of this genealogy is nearly flawless.) She demonstrates how a certain discrete network of concepts was formulated at particular historical moments by particular individuals, Western elites, to advance their own interests. The Nietzschean point that inspires all such critical inquiries is that concepts are always manufactured by an elite in order to secure their interests at the expense of the masses, there is just variation in how long ago the manufacturing took place and how successfully the memory of manufacture has been repressed. The only surprising thing about religious freedom is how relatively recently it was manufactured, as Hurd so successfully demonstrates. What are we to do once religious freedom has been de-naturalized through genealogy? In other words, what motivates genealogy? One response, let’s call it the ontological response, is to say that beneath the level of concepts is the level of truth, accessed through affect or bodies or resonance or whatever else is posited as being before or beneath representation. Another response, let’s call it the pragmatic response, is to say that the best (most effective) way of interacting with the world is to try out a variety of concepts, to frequently create new concepts, and to reduce the hold that any one set of concepts has on the way we interact with the world. A third response, let’s call it the political response, is to say that the status of the wealthy and powerful is secured by regnant concepts, so destabilizing those concepts creates opportunities for the elite to be toppled. My sense is that Hurd equivocates between these three motivations for genealogical critique. At times she seems to embrace the ontological response: She argues that once we set aside the concepts connected with religion in the clumsy, Protestant sense, we will have access to that which is “illegible,” “the ambiguities, multiplicities, and paradoxes of multiple religions” (118). If only we can set aside our pesky concepts, we can get to the underlying reality—a reality always evading representation. At other times she seems to embrace the pragmatic response: she ends the book by pointing to a State Department program that addresses religious issues under the umbrella of “cultural preservation,” creating the conceptual flexibility to think in new ways about what might count as religious in the minds of government bureaucrats. And sometimes Hurd seems primarily concerned about the power of Western elites to affect the destinies of marginalized and dispossessed communities the world over. The ontological motivation should be immediately dismissed: it rests on the belief that we can access a world without concepts, that through feelings or bodies or resonances we can experience the world as it really is, not as it is distorted through reason and representation. This is clearly false. It does not match the phenomenology of life in the world, and it is so obviously motivated by a secularized theological desire to participate in Truth—secularized because it forgets the fallenness of this world that always keeps us at a distance from Truth. The pragmatic motivation appears more appealing, but it is ultimately incoherent. It might seem as if we are better able to live in the world, individually and collectively, if we can loosen the yoke of concepts manufactured by the elite and so experiment with new concepts, but the elite are much too crafty. The power of elites is maintained not by any one network of concepts, such as religious freedom, but by myriad interconnected networks functioning in various domains, from technical policy issues to ordinary life. Creatively reimagining one domain is throwing a pebble at a lion: most likely ignored, possibly resulting in the thrower being eaten—nourishing the lion. Hurd’s own example is instructive: the creative reimagining she points to at the book’s climax is, after all, happening in the US State Department. The fundamental power dynamics at work remain the same: a Western elite using money (grants) and concepts (now more precisely designed) to exert its influence over the globe. It is the third motivation for genealogical critique that seems the most compelling, but it needs to be fleshed out. It seems like details are missing, making the story seem rather magical: concepts are destabilized, the power of elites weakens, elites are overthrown. Who, precisely, are the elites? Who will overthrow them? What does this transformation look like, concretely? There are different ways of adding details to the story, weaving in economics, race, gender, colonialism, and so on. No matter how many details are added, an irreducible element of faith remains, since we lack the conceptual resources to narrate this story of transformation (it is unthinkable, for obvious reasons, in the conceptual vocabulary that was manufactured by the elite). There are two important consequences that follow from embracing the political motivation for genealogy. First, the practice of genealogy should be attentive to the specific contours of the elite, to the latent possibilities for opposition, and to the potential pathways for transformation. It is not enough to simply show that elites have manufactured a given network of concepts—after all, they have manufactured every network of concepts. The political genealogist must show why the network of concepts in question is particularly important for an elite to maintain its power, and how this network relates to others. Why is religious freedom a particular point of vulnerability in the conceptual armor of elites? Is it intimately connected with the mechanisms that fuel the elite’s power—whether one thinks those are economic or otherwise? What pathways do latent oppositional forces have to advance against elites if religious freedom is destabilized? The other consequence of the political motivation is that the genealogist must believe in more than she can see. She must have faith (belief without sufficient reason) that the world can be fundamentally transformed, and that this transformation is for the better—not just playfully rearranging the furniture. In other words, she is motivated by a desire for the good, where the only thing that can be known about the good is that it exceeds all worldly objects; a desire for what theologians call God. The politically motivated genealogist wants more than the world will give her, and she rightly understands that it is elites and their tools, their networks of concepts, that prevent her from getting what she wants. She knows that abandoning concepts will not satisfy her desire (that would entail false consciousness since concepts can never be abandoned), and she knows that conceptual play may be entertaining but will never satisfy a desire directed beyond the world. Studies of secularism can be divided into two camps. There are those that are critical, denaturalizing the secular by showing the specific forces that gave rise to secularity. We might call this the secular critique of the secular. Its motivation is ambiguous: genealogy for genealogy’s sake (or because it is a disciplinary norm), or a vaguely directed desire to fight the (secular, liberal, Western, atomizing, individualist, rational, etc.) power, or a misguided belief that the genealogical method in itself brings freedom. The other camp of secularism studies uses genealogies of the secular to make space for the theological: theological critics of the secular. Secular critics of the secular often forget that theological critics preceded them: before Charles Taylor there was John Milbank, before Talal Asad there was Richard John Neuhaus. More important than temporal precedence is conceptual coherence. Secular critics of the secular cannot escape the antinomy this label implies: the snake eats its tail as the secular grounds of the critique are undermined by the critique itself. Yet secular critics do hint at their own political-theological commitments even as these remain implicit: at a desire for a radically transformed, radically better world. Theological critics of the secular are often over-confident in their motivations, failing to interrogate the complexities and, yes, idolatries mixed in with the religious traditions they embrace. To interrogate those complexities and idolatries, the theological critic needs the skepticism directed at the wisdom of the world that has been so well developed by the secular critic. What I am suggesting is that it is in the academy itself, not the world out there, where we need to think through religious freedom. It is in the academy where we need to be open to engaging across religious difference, creating spaces for conversation between theologians and secular scholars. Put another way, if we think of religious freedom as the ability to truthfully discuss the sources of normativity, it is in scarce supply in the academy. Normativity blends with culture—everyone in a social set or at a disciplinary conference agrees that certain things are bad, others good—and the questions that really matter, the questions that ought to make critical inquiry critical, go unasked. These are questions both personal and political: what do we really desire? How does our desire motivate us to challenge the powers that be? How is our desire disordered, distorted by the fleeting satiety offered by the world, turned away from the true, the good, and the beautiful? To be able to address these questions: that is the religious freedom I want. I want to thank Vincent Lloyd for rounding out this discussion. I did not, however, recognize much of my book in his response. Lloyd rightly remarks that I do not say that religious freedom is “bad” but he then implies that I meant to say it is bad. I appreciate the opportunity here to be clear that my book does not say that religious freedom is bad. The book instead says that the story is not that simple. Rather than arguing “for” or “against” religious freedom, I am interested in its complex lives—its materializations—in contemporary national and international politics. The book provides an analytical framework to interpret in a new way this set of practices and discourses that have emerged powerfully in international relations theory and practice over the past two decades. I refer to these discourses and practices as the new global politics of religion. Religious freedom is one part of this broader tendency. Lloyd also criticizes the “monotone morality” that allegedly underpins my conclusion that religious freedom is bad. Again, had he stopped with what I had actually said in the book that would have been legitimate, but lodging complaints about things I expressly did not say takes him off course. Let me give a quick overview of what I do say in the book: I wrote Beyond Religious Freedom neither to condemn nor to celebrate the new global politics of religion, of which the promotion of religious freedom internationally is one important dimension. My aim rather was to parochialize and politicize specific constructs of religious governance by drawing attention to the gaps between these powerful discursive constructs (including religious freedom, toleration, and rights) authorized by states, experts, and others in positions of authority, and the lived experiences of the individuals and communities that they aspire to govern, reform, or redeem. The book charts examples of the tensions and occlusions that emerge between the large-scale social, legal, and religious engineering projects that have come to dominate today’s global faithscape and the realities and responses of individuals and communities who are subjected to and shaped by them. To access these fields of practice the book distinguishes between religion as construed by those in positions of legal and political power (“official” or “governed religion”), religion as construed by experts who generate policy-relevant knowledge about religion (“expert religion”), and religion as lived and practiced by ordinary people (“lived religion”). It reads a series of contemporary debates involving religion, law, and global governance through this frame. These include the politics of “good religion” and “bad religion” in international relations, the religion jurisprudence of the European Court of Human Rights, the politics of religious minoritization in Turkey and the possibilities and constraints of minority discourses for Turkish Alevi communities, and debates over religious freedom and religious outreach in US and European foreign policy. To complicate assumptions about the inevitability and naturalness of contemporary forms of global religious governance is an important objective of the book. In this sense Lloyd is right to identify its genealogical sensibility. The book brings this sensibility to bear in order to challenge the assumption in many elite academic, legal, and policy circles that the legalization of freedom of religion, engagement with faith communities, and protections for religious minorities are straightforward, essential steps in emancipating societies from persecution and discrimination. Instead I show that these efforts exacerbate social tensions by transforming religious difference into a matter of law and public order, enacting a powerful divide between the “religion” of those in power and the “religion” of those without it. This leads to forms of politics and public order defined by religious difference. It favors forms of religion authorized by those in positions of authority. And it excludes other ways of being and belonging both individually and communally. On the question of the motivation for critique, Lloyd identifies the most compelling as the “political response,” which he says involves destabilizing concepts thereby creating opportunities to “topple the elite.” While I agree that such a response is important, I would not describe it in those terms. I am in no position to topple anyone, let alone the elite. As I’ve discussed elsewhere, I neither offer a solution nor advocate revolution. I am in search of better understandings of how certain ways of being, living together, and governing difference have come to seem so natural and normal in our time. It is in that sense that I am interested in genealogy. It is for that reason that the book issues a call to scholars and practitioners to consider new strategies for understanding and also, perhaps, responding differently to the pressure to locate and legislate a universal solution to what are always and inevitably complex local, national, and global dilemmas of collective life.